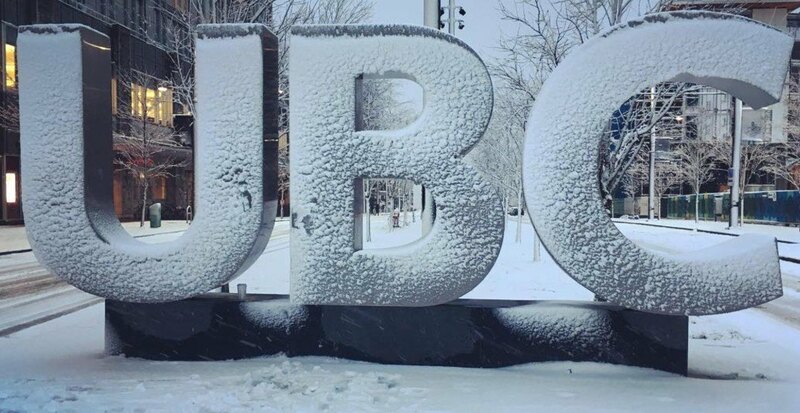 UBC and SFU have announced evening campus closures ahead of tonight’s snowfall. Classes are cancelled from 6 pm onward at the UBC Vancouver campus. SFU’s Burnaby and Surrey campuses are closing at 5:30 pm but the school’s downtown Vancouver campus remains open. The cancellation comes after SFU students took to social media about classes not being closed this morning. BCIT announced that all afternoon classes are cancelled as well. Be sure to check UBC, SFU, and BCIT websites for updates regarding further cancellations.